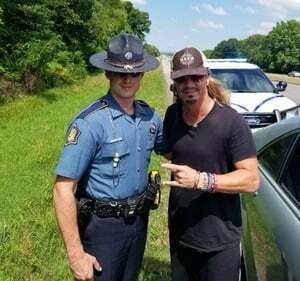 An Arkansas trooper met the rock band Poison's lead singer Bret Michaels during a traffic stop last week. On Saturday, Arkansas State Police released a photo on Facebook of trooper Deston Linkous with Michaels, who was in a vehicle traveling east on Interstate 40 on Tuesday and was headed to a concert with Cheap Trick and Pop Evil that night, ArkansasOnline reports. 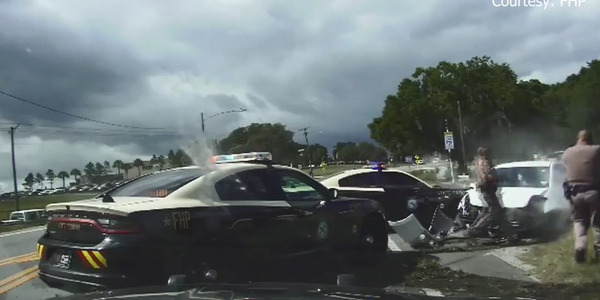 Agency spokesman Bill Sadler said that Michaels was a passenger in the vehicle, which was likely pulled over for crossing a traffic lane. 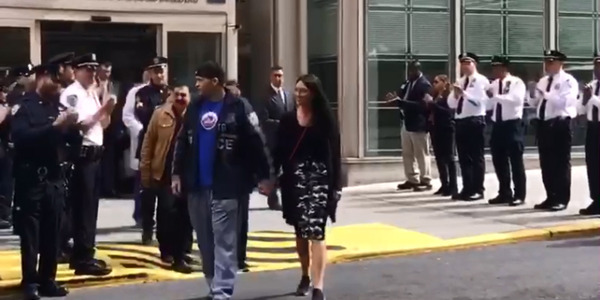 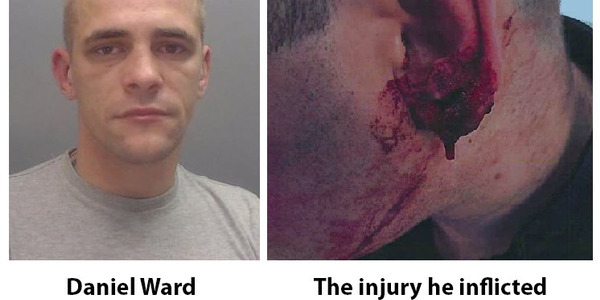 There were no indicators of impaired driving, and the driver was let off with a warning, according to Sadler.